Extrawelt, Mad Professor, LTJ Bukem & MC Ruthless, Icicle, vertical, Captain Hook and S.P.Y. will play Noisily Festival 2019. Returning to Coney Woods in Leicestershire from Thursday, July 11th to Sunday, July 14, there will be three main stages, micro-venues and a Mind Body Soul area with talks, panels, discussions and healing practices. There will be a cross-section of names from house, dub, bass, disco, techno and psy-trance represented by acts such as Alex Stein, Eelke Kleijn, Gaudium, John Monkman, Kliment, Öona Dahl, Opiuo, Plasmotek, Spoonbill, Township Rebellion and WAIO. Noisily is buily on the core pillars of inclusion, the environment, education & wellness, community and creativity. 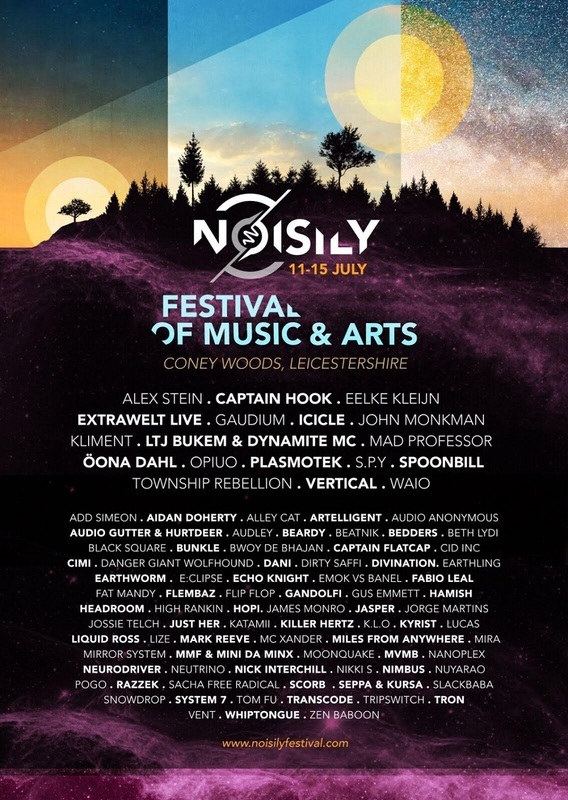 For tickets and details go to noisilyfestival.com.